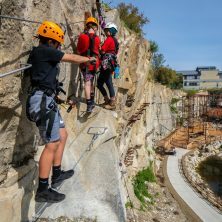 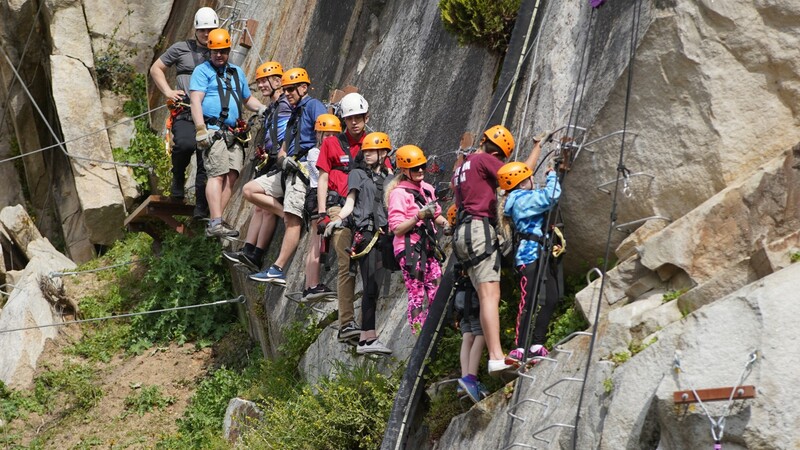 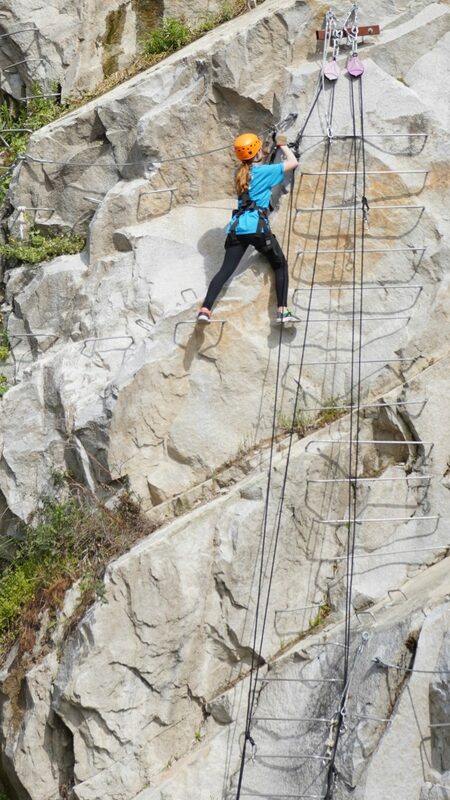 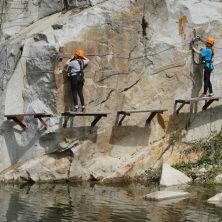 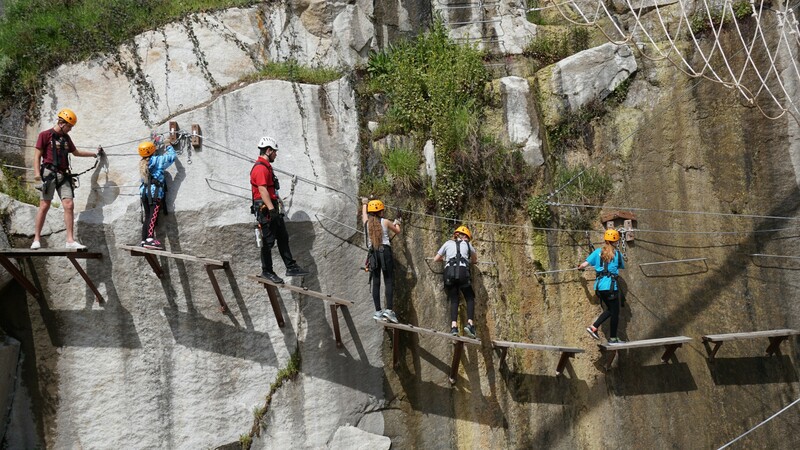 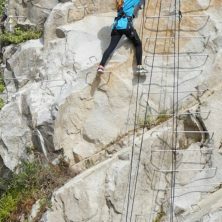 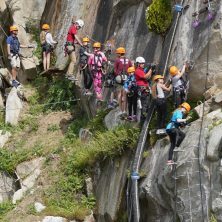 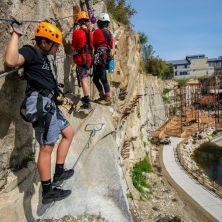 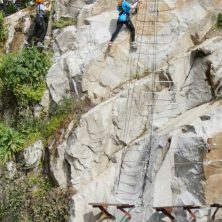 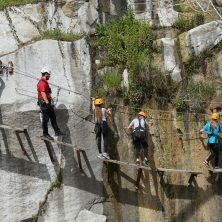 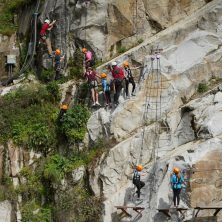 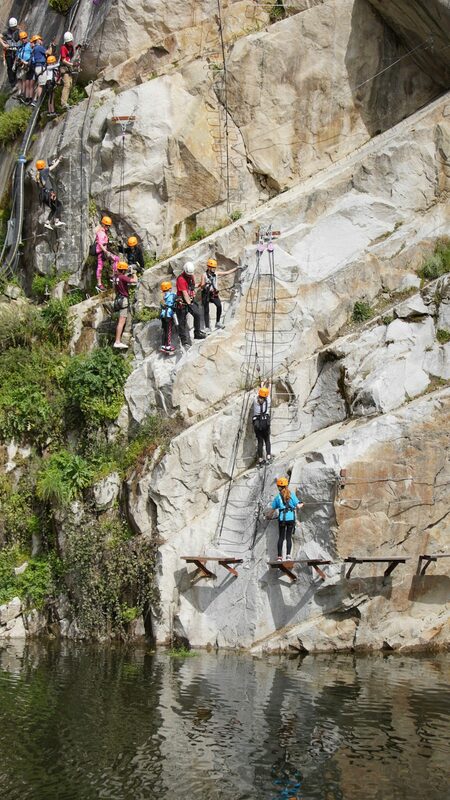 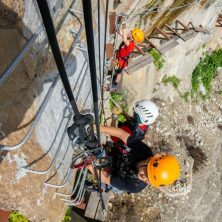 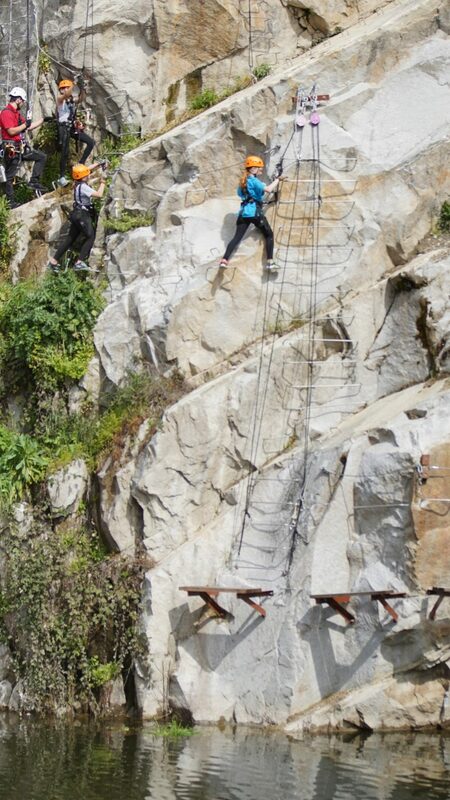 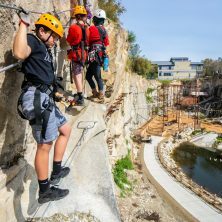 Italian for “iron path,” the Via Ferrata at Quarry Park Adventures is an amazing experience you won’t want to miss! 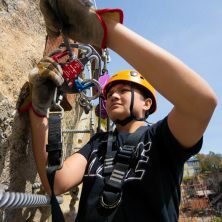 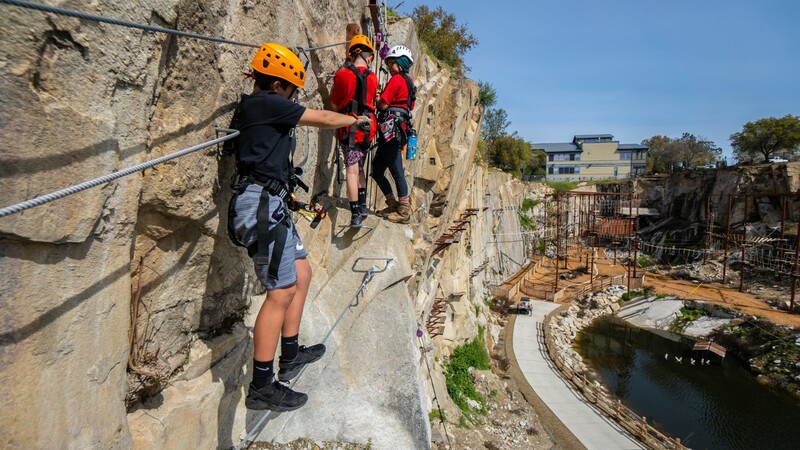 Gear up, then join your group at Ground School to learn how to use your Smart Belay clipping system to safely traverse the rock walls and built-in challenge elements on Wild Willie’s Wall Walk. 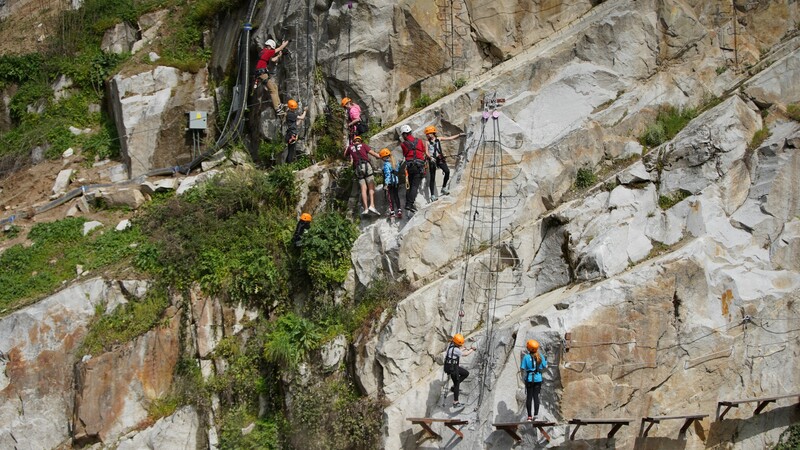 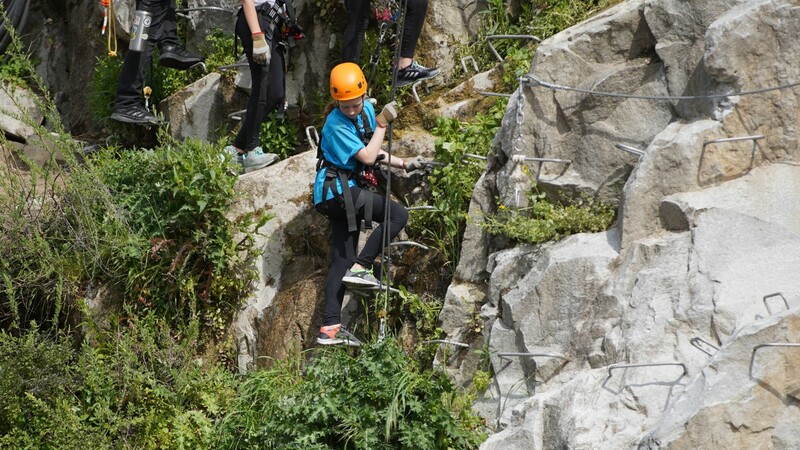 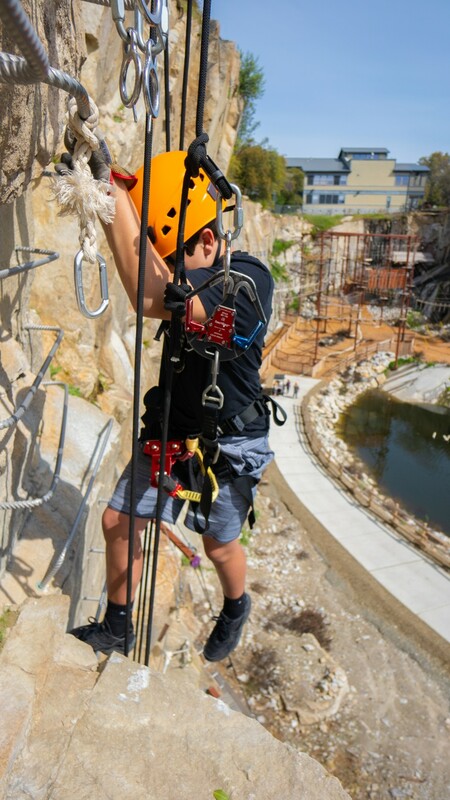 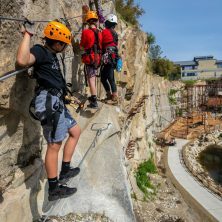 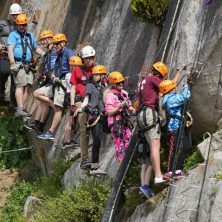 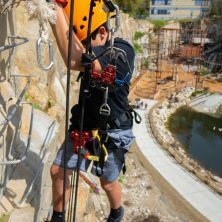 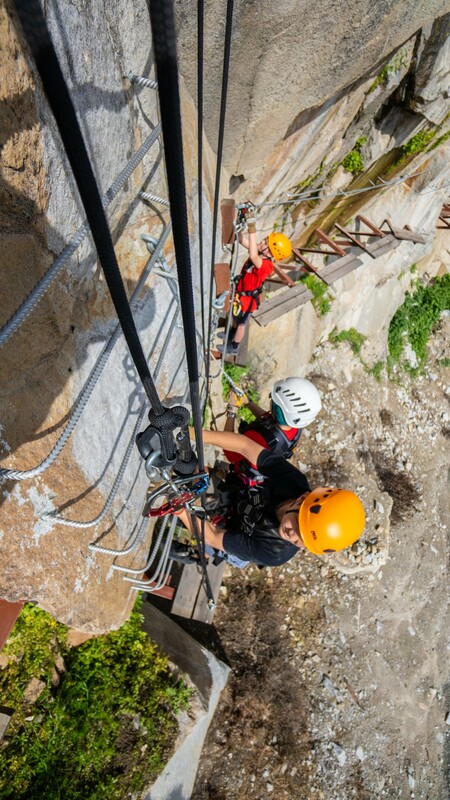 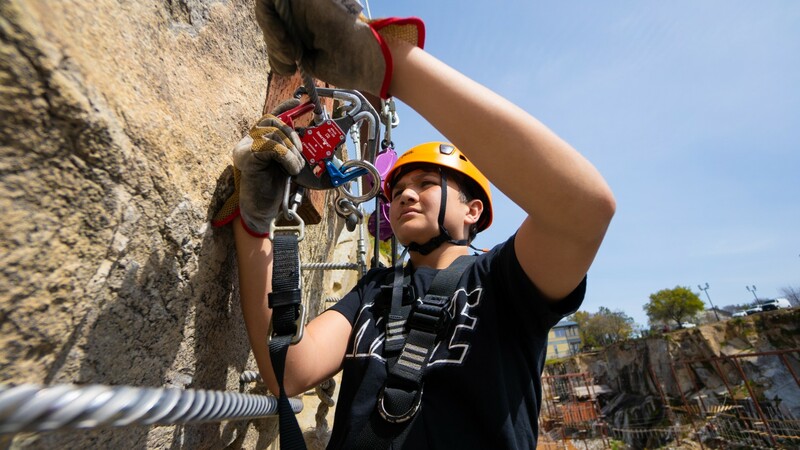 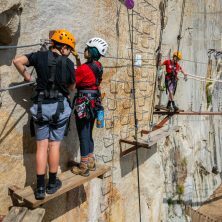 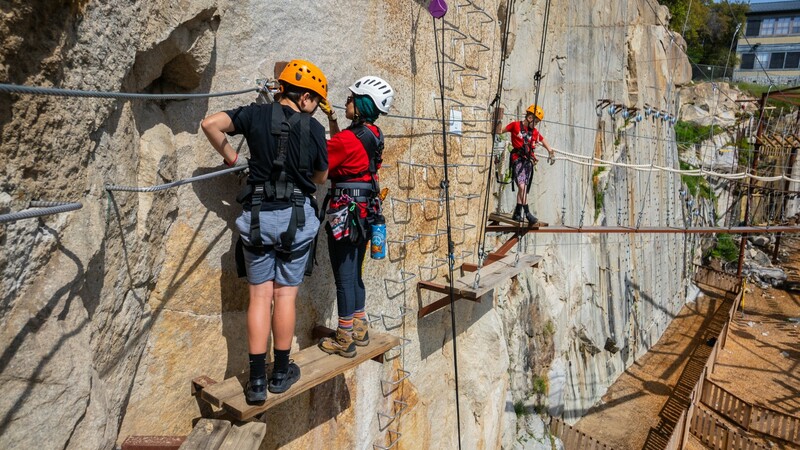 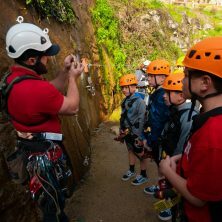 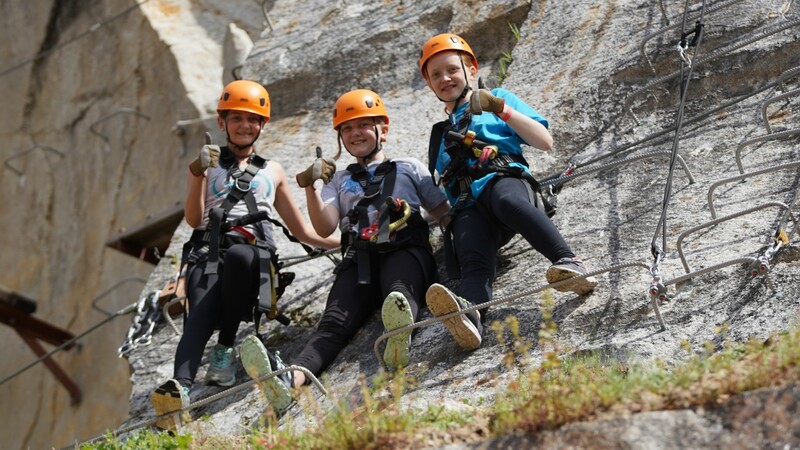 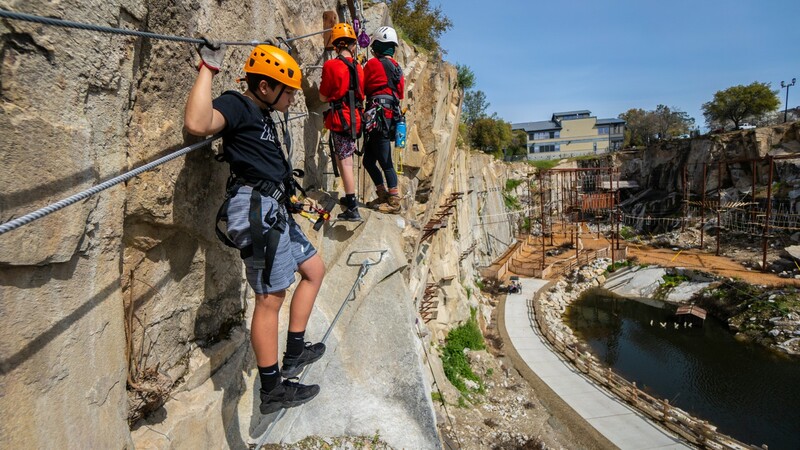 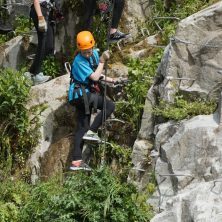 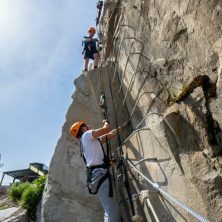 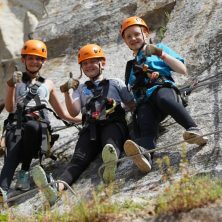 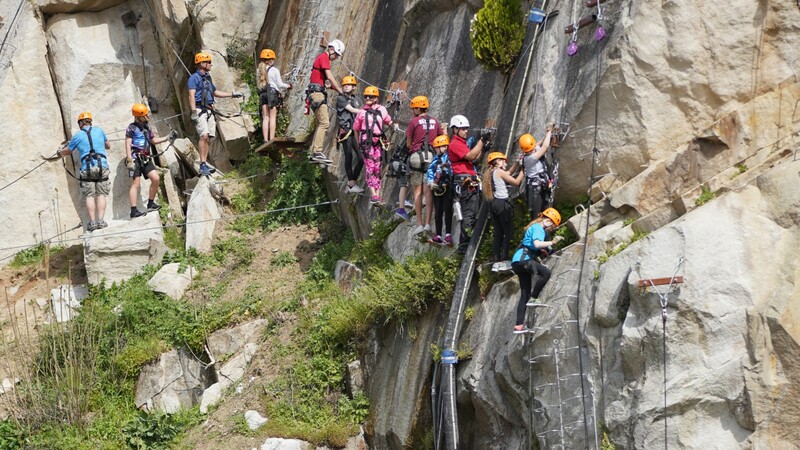 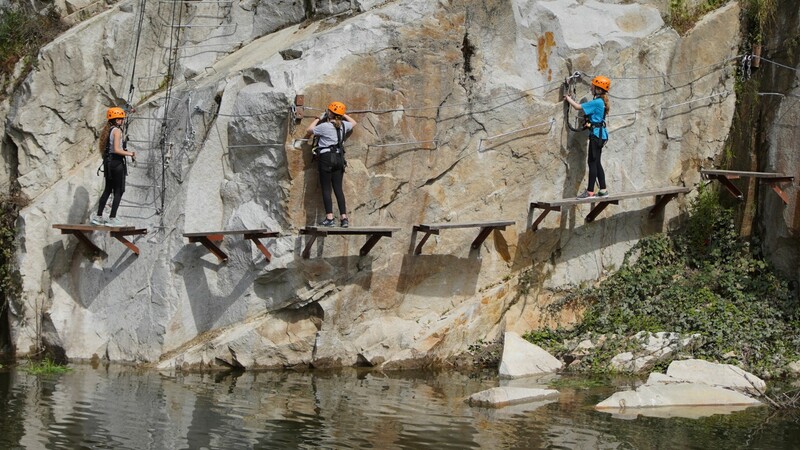 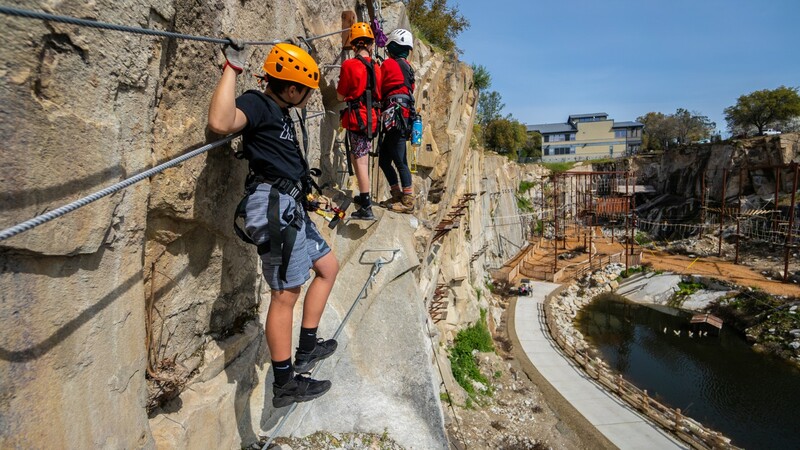 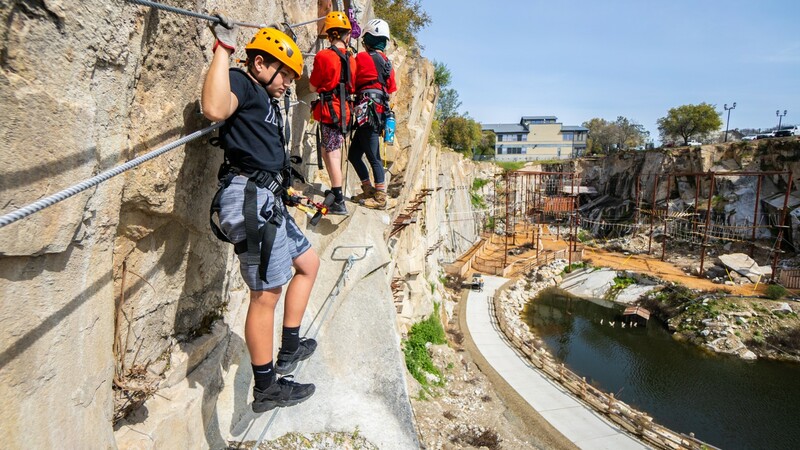 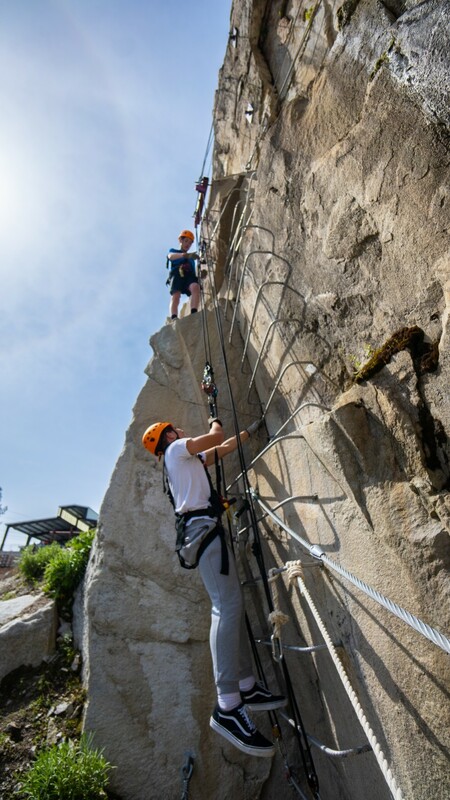 From heights up to 40-feet above the quarry floor, you’ll scale the perimeter rock walls on a series of challenge elements, swinging bridges, and more. 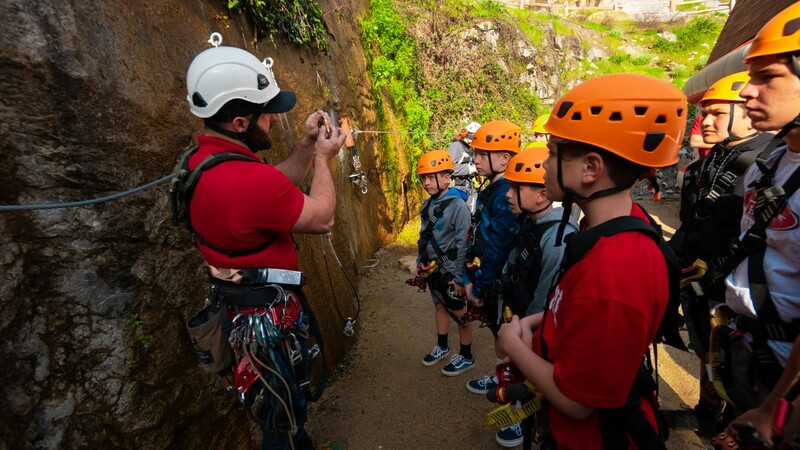 ($39.99 Adults / $34.99 Kids 12 and under). 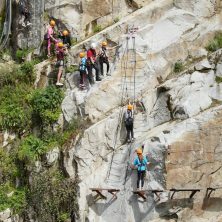 Prior to booking, please review and ensure all guests fully meet our Participant Requirements.